We promise to make your whole experience completely stress-free by planning the morning to run calmly and smoothly. Our philosophy is simple; Elegance, Timeless and Natural Beauty. 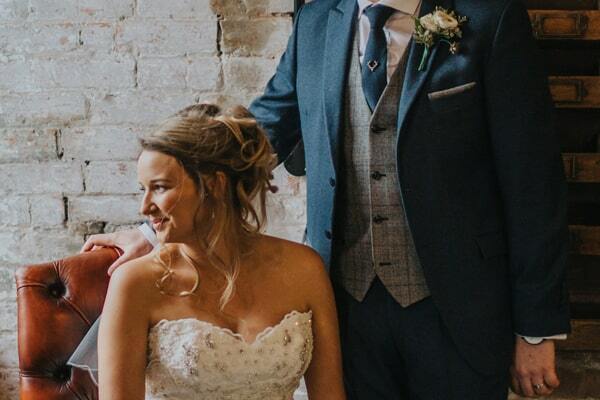 We want you to still look like you in your wedding photos – a truly amazing you! 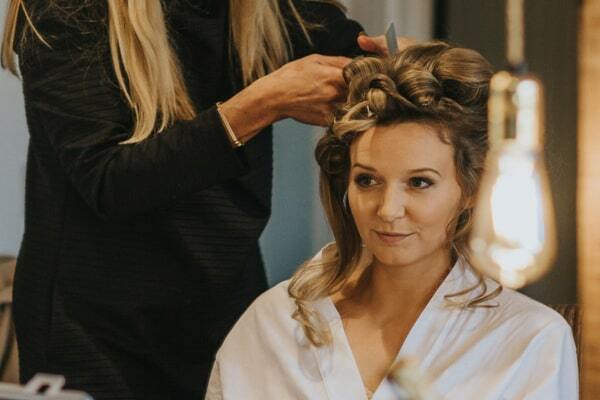 Our experienced and professional stylists will organise your bridal party in a timely, professional and efficient manner, allowing you to sit back, relax and enjoy your day. We offer an In-Salon or At-Venue service, 7 days a week, tailored to suit your individual needs. All packages include a full consultation and a pre-wedding trial run at the salon for your peace of mind. Bridal Packages are available which combine Hair and Make Up. Thank you so much for my fantastic hair. It stayed perfect all day and night and received so many wonderful comments about it! Our fully qualified and highly experienced Make Up Artists specialise in creating that natural, radiant look that most brides desire. Using only premium brand products, such as Mac, Trish McEvoy, Laura Mercier, YSL and Clinique, we understand that it is essential for make up to feel weightless, comfortable and, most importantly, to last the entire day. We require a non-refundable deposit of £100 to secure the date, deducted from the final bill on the day. An additional charge will be added for travel and bank holidays.